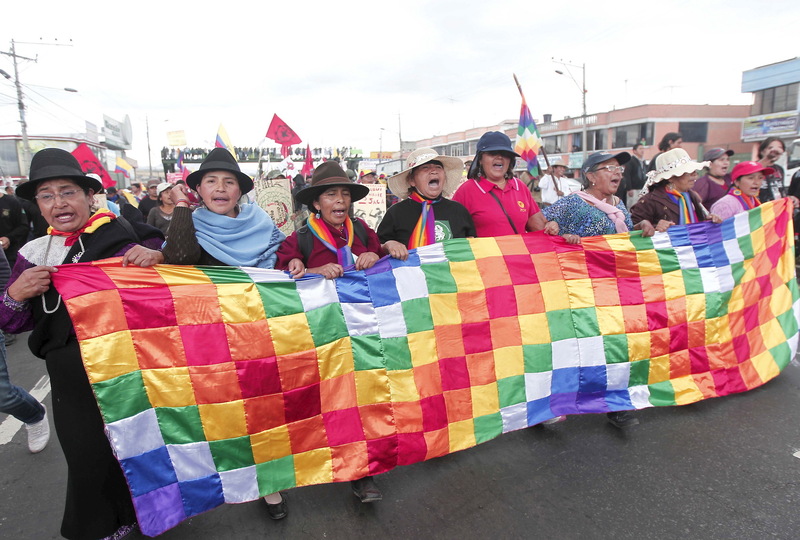 Gloria Ushigua is Coordinator of the Sápara women's organisation Ashiñwaka, which defends Sápara people's ancestral land and environmental rights in the province of Pastaza. 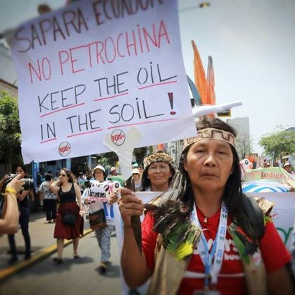 Since 2010, the human rights defender has been invested in the defence of her community in Llachama Cocha, primarily against private and State-owned companies seeking to exploit oil deposits in Sápara territory. As a result, she has been threatened, intimidated, judicially harassed, discredited on national television by high public officials and assaulted by law enforcement officers, along with other members of her family. While the new Constitution promulgated in 2008 contained clauses referring to the environment and its protection, over the last couple of years, the government has permitted multinational corporations to enter and exploit oil and gas reserves to the detriment and devastation of the environment and indigenous communities. HRDs working to protect the environment increasingly find themselves targeted and in need of protection.